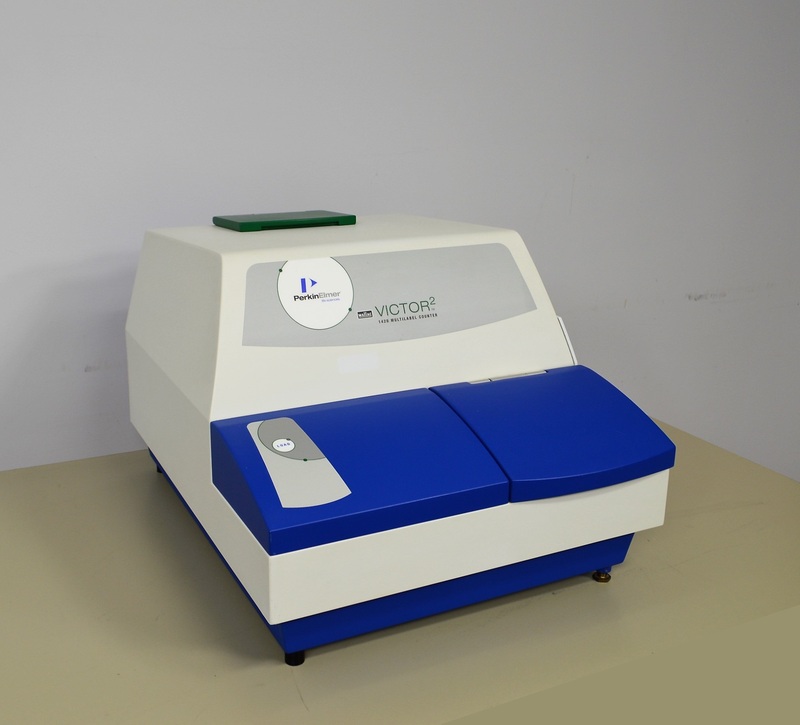 PerkinElmer Wallac 1420-042 Victor2 Multilabel Microplate Reader Fluorescence . New Life Scientific, Inc. The technicians powered the microplate reader on and noted the indicator light turns green. The fan spins, but no other mechanical movement or sounds were observed. With further inspection, the technicians noticed that the filter wheel is missing which may reduce possible applications. The technicians commented that the instrument is in near perfect physical condition. The functionality is less certain and the product will be sold with the confirmation that it powers on only and the filter wheel is absent. The technicians do not have the resources or experience to perform additional testing. While New Life Scientific takes many steps to ensure that our instruments are in perfect working order we cannot ensure that all products are up to manufacturer specifications. We recommend every product undergo professional installation and calibration before use in research, production, and clinical applications. For this reason, we offer a 90-day warranty on all our working products in the interest of maximum customer satisfaction.